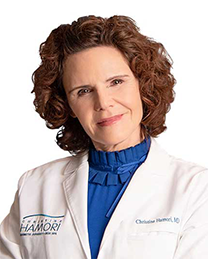 Christine Hamori Cosmetic Surgery + Skin Spa Blog - By Dr. Christine Hamori, MD: What Is an ExpertInjector? Did you know that virtually any physician can purchase and administer injectables? That's more than 1 million doctors who are allowed to perform cosmetic injectables in the U.S. — and less than 3% who have appropriate qualifications. You can rely on the ExpertInjector™ designation, the only organization to have the endorsement of the prestigious American Society for Aesthetic Plastic Surgery and the American Society for Dermatological Surgery. Beware of doctors practicing outside of their specialty, offering cosmetic injectables without proper training. This puts you at risk of mediocre or unexpected results, even deformity. Be sure to research your injector, and be aware of these red flags that may indicate a specific physician is not duly qualified. Dr. Hamori is an ExpertInjector. Look for this title or seal indicating your doctor has specific training to offer facial fillers such as Restylane, Perlane, Sculptra and more, and denerving agents such as Botox and Dysport. Still more: View Dr. Hamori's video discussing her experience with the "liquid facelift" using a combination of injectables to give patients a younger, smoother look without surgery.